What a way to start the new year! Thanks to you, we've now reached over 11,000 clients! Thank you all for your continued support and feedback. We've released a host of updates to all of our SDKs to make them easier to set up and more easily compatible with other plugins. We encourage you to update to the latest version of our SDK for your platform for your next release (Web Push Users are already updated and no changes are required). You can read all about this new button and other Web Push changes on our Web Push blog post here. The SDK is now slimmed down for file size optimization. The SDK now uses less network traffic by caching calls to setTags and getTags. It is no longer necessary to add OneSignal.onResumed() and OneSignal.onPaused() to each activity. This is done automatically by the SDK. Android market:// links will now open the Play Store directly instead of opening your app first. Better detection of old / incomplete android support v4 library issues. Several minor bugs and compatibility issues have been resolved. Several minor bugs and warnings have been fixed. We have a bunch more iOS SDK updates coming soon! All of our Android and iOS updates are included. Fixed a rare iOS build conflict with the Log function and other plugins. Fixed a very rare iOS nil crash. Moved most of our SDK files into a OneSignal folder for Unity 5 for a cleaner import. A 4.6 SDK package still exists for backwards compatibility. Updated to latest version of Google Play services and Android Support library v4 with AAR files. This fixes compatibility when also using the Google Play Games for Unity plugin in a project. Fixed Log link error when using some other Unity plugins. Fixed issue where Android device would not register in some cases if Google Play services 8.1.0 (or newer) was used in the project. Anything we missed? Please let us know if how our service can be made better for you. 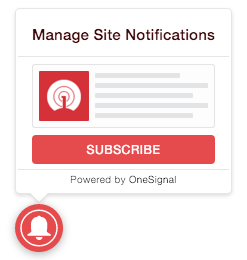 As always, thanks for your support in making OneSignal the best platform for sending Push Messages to your users!